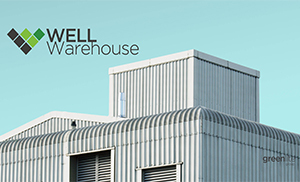 With the UK currently lagging behind its European neighbours and the USA in terms of productivity, Greenlite believes it is essential that the warehouse sector explores the ways in which improvements to employee health – both physical and mental – can help to deliver higher productivity and output yields. Key to the campaign is uncovering the real-world views of senior level respondents about the impact that good (and bad) quality warehouse lighting has on personnel. Survey questions, which will can answered anonymously, will ask respondents to comment on whether they believe the working environment that they are responsible for is well lit – and will ask whether they believe the lighting has an impact on concentration levels; alertness; health and safety; and headaches and eye strain. Interestingly, this kind of data is readily available from research projects focused on the commercial office sector – where the positive outcomes of modern lighting are well-documented. Managing multi-waste streams for multi-tenanted commercial and office buildings can be a nightmare, often leading to incorrect waste procedures and unnecessary admin costs. It is recognised that the fairest way to manage waste in multi-stream environments is to charge for waste according to the amount and type produced by individual tenants, colloquially known as ‘pay as you throw’. However, without a structured system to implement pay as you throw schemes, managing the different waste streams can be complex and generally off-putting to users. After many years in the waste industry, Weightron have purposely designed a legal for trade Itemized Waste Management system, which records the waste and recycling disposal of each tenant, to in turn accurately invoice them for their usage. The system is built to be extremely comprehensive and easy to use. Users simply weigh their bins on a low-level platform, and login using a visual touchscreen interface. The software meticulously measures the contents of the bin, and automatically records it. The system tracks the tenants’ recycling patterns and records the weights of specific waste such as card and paper, glass, food, metals, plastics and wood. It can identify those who are not recycling properly and educate them to improve recycling targets and further reduce waste costs. When it comes to invoicing, the software configures full-usage reports for each tenant, cutting out the need for administration and helping to create accurate invoices, charging individual tenants for the exact waste they have produced. The iWM has already been successfully installed in numerous commercial buildings including office blocks, schools, hotels, restaurants, universities and factories. A special version of iWM is available for weighing and managing complex medical waste streams for hospitals and medical centres. 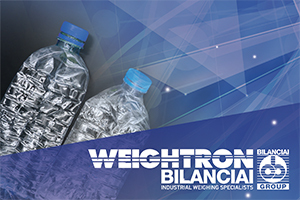 For more information visit Weightron’s website and download their iWM brochure here. Lanes Rail has completed more than 30,000 repairs and introduced multiple innovations to improve efficiency, safety, and cost control in the first year of a major new maintenance contract for London Underground. The five-year 1 FM contract, which went live in June 2017, covers all building maintenance work along underground lines, and at depots, train crew accommodation, engineering works, and power sites. Transport for London (TfL) awarded the contract to Lanes Rail, part of Lanes Group plc, under a new streamlined approach to facilities management designed to deliver financial savings, while supporting the Mayor of London’s plans for improving transport. Lanes Rail Commercial Director Matthew Todd said: “Mobilising an FM contract that redefines how rail maintenance is delivered while meeting such ambitious performance targets has been a challenge. “Under 1 FM, 50 contracts have been consolidated into just six. We have worked hard, operationally and commercially, to embed TfL’s philosophy and goals in this first year, and I believe the traveling public in London will see the benefits as the contract progresses. “By the beginning of June, we had completed 31,192 repairs. Of those, 25 per cent were classified urgent, requiring attendance within four hours. “Lanes Rail has consistently performed above the 95% timely completion key performance score. We also completed the 15,363 planned maintenance activities per year on schedule. Services delivered under 1 FM include maintenance of roofing, internal wall and floor surfaces, doors, locks, gates and barriers, sanitary ware, drainage, safety markings, and pest and vegetation control. During the first year, Lanes Rail has introduced a new approach to FM maintenance based on analysing data to identity risk areas, and target planned interventions to prevent faults. In the long-term, Lanes will reduce the risk of faults adversely affecting customer experience through better targeting of planned maintenance, which will reduce the cost of more expensive reactive maintenance. The objective is to use this ‘smart programme’ approach to reduce faults by 25%. 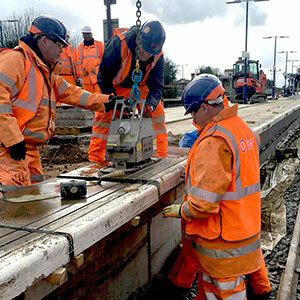 For example, Lanes Rail teams has a programme of planned inspections of platform nosing stones and tactile surfacing, followed up by planned corrective maintenance. This is reducing reactive call-outs to loose nosing and paving stones, which pose serious slip and trip risks and could fall inside a rail line’s ‘kinetic envelope’ – the area where they could be struck by a train. There has been a 26% reduction in reported vegetation faults, and the implementation of a drainage planned and preventative maintenance programme has reduced station closures. Lanes Rail is pioneering the use of aerial drones to survey buildings and track drainage, which improves the speed and quality of surveying, is safer, and has less impact on day-to-day operations. New technology is also being introduced to track pest activities to improve partnership working with stakeholders to control pests coming in from outside TfL properties. 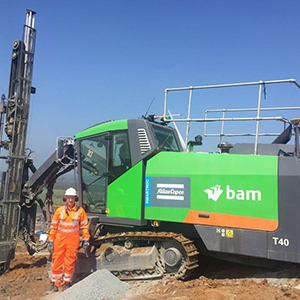 The operational success of the 1 FM contract has played a part in TfL instructing Lanes Rail to prepare a similar maintenance programme for six stations along the underground section of the new east-west Elizabeth Line through central London. 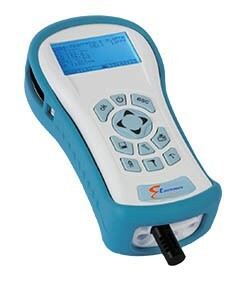 AcSoft Health & Safety (tel: 01234 639550; www.airsampling.co.uk) – leading specialist in monitoring instrumentation for occupational health and the environment – is targeting the facilities management industry with its range of reliable and accurate Indoor Air Quality (IAQ) Monitors from Pennsylvania-based E Instruments. 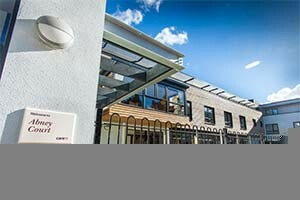 Spectus Approved Window Contractor Jade Windows earned the praise of a major care home group for returning to finish a 200-window installation despite the main contractor going into administration near to the end of the work. 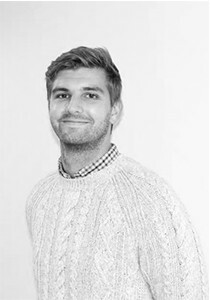 Forum welcomes the arrival of Craig Ross as it aims to further develop its new business department through the continuation of new events in an array of industries.